Lenovo Vibe Z K910, the latest flagship phone from the company is official now. The new VibeZ comes with vigorous specs, specially at this price tag. It has 5.5 inch FHD IPS display , 2.2 GHZ quad core Snapdragon 800 CPU coupled with Adreno 330 GPU. There is Android 4.2 OS to make the smartphone alive. It is just 7.9 mm thick and weighs 147 grams. IT packs with a 13-megapixel shooter with dual flash and a 5-megapixel front snapper. It has 4G LTE, 3G support on its single SIM card slot. Another cool things is its battery backup, the Vibe Z has 3000mAh battery that offers 33 hours of talk time. 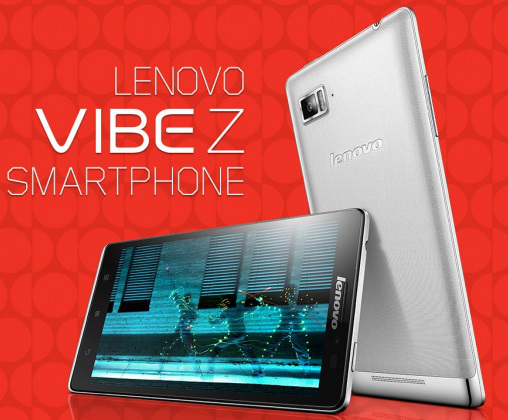 The Lenovo Vibe Z is priced at $549 and it would hit India for a price of RS 36,000. It will be available in silver and titanium colors. The company would showcase it at CES 2014.